The next Advisory Neighborhood Commission (ANC) 5D will be held next Tuesday, June 14th starting at 7:00 pm. The meeting will again be held in the police station at 1805 Bladensburg Road NE. Meetings have been held outside of ANC 5D boundaries for a number of years but there is an agenda item for “Meeting Location Change” on the agenda. The full meeting agenda is posted on the ANC 5D website. There are a few other items of note for Trinidad. First, the agenda does include a presentation by the Department of Public Works. The person tasked with DPW issues in our neighborhood recently changed so this would be an opportunity to meet the DPW Director and make note of issues that need to be addressed by the new to Trinidad staff. Second, back in October 2015 there was a very positive community meeting held to discuss development of 1164 Bladensburg Road NE. There is a project being proposed to construct 75 affordable units on a long vacant lot and community input was solicited at the meeting. There was strong support for the affordable housing with suggestions for design changes and retail space provided by attendees. There have not been community discussions since that time but the ANC will be reviewing a resolution in support of the project. A third item of note is the resolution to adopt a community grants policy for the ANC. Other ANCs do make small community grants available for projects that will benefit the community and are within proscribed guidelines. Finally, the article on the large condo conversion proposed for 1167 Morse Street elicited strong reactions. That issue and other concerns can be raised by community members at the ANC meeting. This would help put neighbor concerns to the forefront as the project continues in the review process. The ANCs represent constituent concerns and that is most effective when we, as residents, interact with our elected Commissioners. Attending the meetings is one way that can happen. 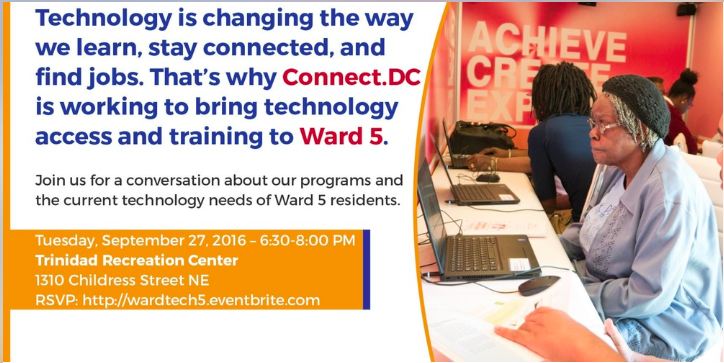 To learn more about the ANCs, you can visit the general ANC website or the ANC 5D website.